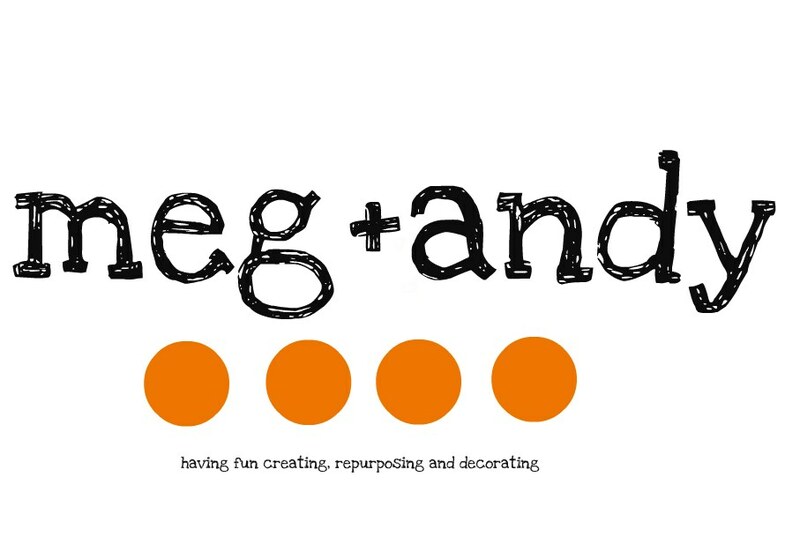 meg + andy: why i've been a bit absent.. I"m getting ready for my 2nd ever craft show. 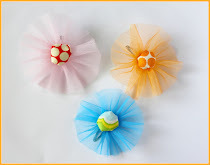 So, i've been busily sewing and crafting in every spare moment. Wellllllll, that's not true...in my spare time i've also been keeping up with all my favorite blogs, pinterest, and tv shows. Don't worry, i know how to keep my priorities straight. :) Anyway, if you're in the Greeley, CO. area, you should stop by! 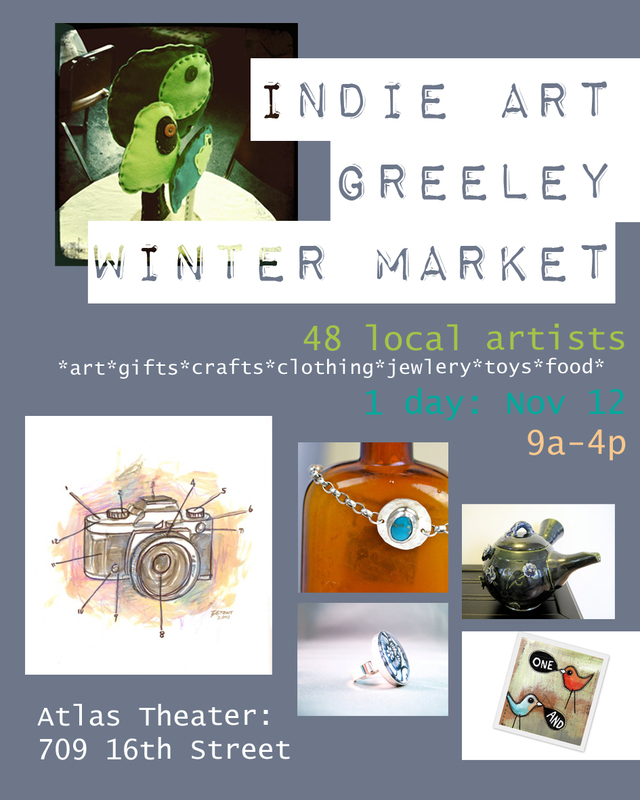 This show/ market is held in a super cute old building turned theater in downtown Greeley and will be lots of fun. Ok, so here's a little of what i've been working on lately...and don't you think that handy andy hasn't been put to work as well, because he has! And he keeps coming up with such great ideas for my little booth that its almost getting annoying.... i shouldn't even joke, because honestly, some of my ideas are really, seriously brainless. 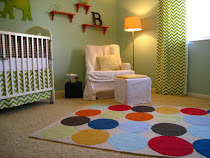 For example, i wanted some pole type things on either side of my table to hang bunting on. * My brains thinks like this: "I'll find some 5 or 6 ft. long dowels at hobby lobby(?) then i'll get a couple of tin cans, fill them with cement, when it's almost dry i'll shove my ginormously long dowels into the cans and hope they stick up straight. Then i'll put the cans inside a couple pots and kind of push them under the the 2 sides of the table and then string my bunting across the wobbling, possibly snapping dowels. riiiiight." * Handy Andy's brain thinks like this: "First of all, does my wife's brain reeeally think that illogically?? Either way, I'll get a couple 2 feet dowels, find two substantial aspen logs from our wood pile, drill a hole in the center of both. Fit the dowel into the hole, put the log on top of either side of the table. String bunting. done." SO smart. Well, that's all for tonight. I have a bit more sewing and pricing to do and then i'll be sure to share some pics from the actual show next week. Hope you all have a lovely weekend! sounds like fun! Wish I lived closer. Hope yours is as successful as mine was last week! Good luck! Because I am totally like you and my husband like yours. I always think I have a solution. And your stuff is so great. Can't wait for lots of pics. Oh my goodness - you make me laugh. 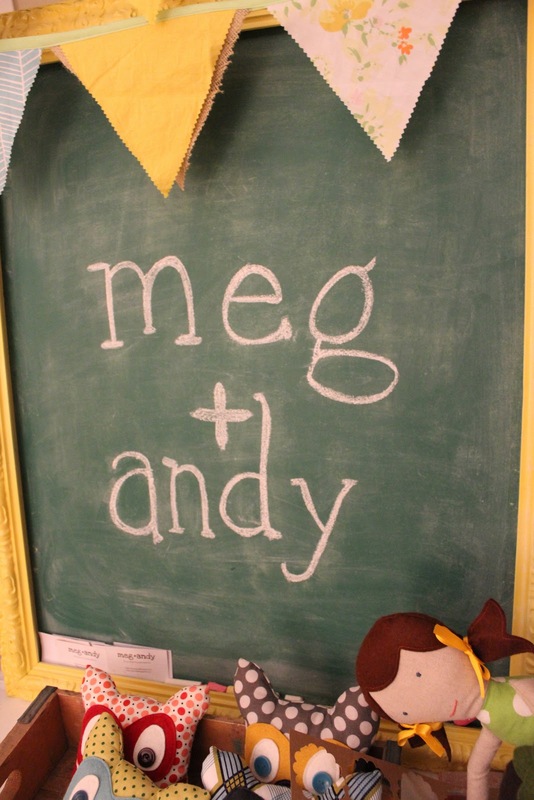 You and Andy are such a perfect pair! I am so over-the-moon excited about this, Sister! I can't believe what an amazing job you are doing. These pictures could not be more charming. I want to come buy it all. For reals. How fun! I didn't even know Greeley did an art fair like this. I'd love to be a part of something like this in the future. Maybe I can stop by and check it out. Thank you so much for your compliments on my kiddos costumes! You're so sweet and I appreciate your kind words. My kids LOVED their costumes and have already played around with various pieces of them since, which now reside in the dress up bin :). Good luck with your booth! I know it's going to look great, all your stuff does! Does Fort Collins do a modern craft show at all? I know there's a juried show in Denver sponsored by Fancy Tiger. I'd love to check that one out as well. Thanks for the info! I still need to talk to my other half but I think I'm going to try and make it out there. Does it cost anything to get in? That would be fun either way! It would be a great excuse to go check out that cute new fabric shop in Ft. Collins again :). Loveland needs a shop like that. I'd love to open up a fabric boutique one of these years. wow! look at all these wonderful items!! you've done such a splendid job! very cute. everything is so cute!! your flag bunting, felt flowers, even your writing on your chalkboard!! Hope all goes great. Success to you at the craft show! Did you know you can accept payments via credit cards with a Paypal account? If WiFi is available Handy Andy can use his iPod Touch to log in to Paypal using the Virtual Terminal for your account to enter the cc # and complete a secure transaction. Or, if someone has a smart phone with a browser, or iPad with G3, that will do. If no WiFi you can also enter the cc#, exp date, pin# when you get home, but get the customers phone just in case there is a problem with transaction. Wasn't able to make it Saturday. The reality of family coming in tomorrow and the state of our house and chaos of four small children hit. I'm sure you know how that goes ;). How did everything go? I'm looking forward to hearing about it, I'm sure you'll post some details. Have a wonderful rest of your Sunday. And we should meet up sometime!